Earthworms are the original natural bait. For many anglers the earthworm is the first bait they learn to use. Not only because worms can be found in any backyard compost pile or moist area rich in decaying organic materials, but also because they work on a wide variety of fish. This makes the earthworm the perfect bait for teaching kids to fish. Even for adults, there is something to be said about watching a bobber sink below the surface as a fish grabs the bait and tries to run away. If you need to purchase your bait any local fishing bait and tackle store worth their salt will have earthworms, most often these bait store sale two types of worms. The wigglers or red worms are similar to the backyard variety found here in the south. Wigglers are very popular with anglers who target pan fish like perch and crappie. These anglers often prefer a flexible, light action pole made of bamboo (cane pole) or some composite material such as graphite or fiberglass. The fishing line is generally no longer than the length of the pole with a hook ranging from a # 6 up to a # 2, a light weight sinker and a bobber. The bobber is adjustable to the desirable depth while the sinker carries the bait down and helps hold the bobber up-right. Use this bobber, sinker, and hook configuration on the world famous Zebco 202 or other light tackle spinning reels and a good time will be had by all. The other type of earthworm bait store often sale are called nightcrawlers. Nightcrawlers are generally lighter in color and larger than the wigglers. A good nightcrawler can easily fit onto a # 1 or 1/0 hook suitable for catching catfish or bass. Many anglers will use their favorite rod and reel, along with some type of bottom fishing set-up, with just enough sinker to allow for smooth casting and which allow the bait to settle on the bottom. Fishing worms on the bottom only seems natural because most earthworms fish find are there. Any type of earthworm will make excellent fishing bait and can be used with any number of fishing methods. The most important thing about using worms as bait is keeping them alive until they are ready for uses. Dry, hot conditions are deadly to the worms therefore keeping their container out of direct sun light is a must, if necessary put the container in a cooler. If you live in an area that would allow the formation of a compost pile, you can grow your own earthworms. Vermicomposting is the uses of worms to recycle organic material such as leaves, grass cuttings, coffee grounds, fruit and vegetable peelings even the leftover corn meal from your last fish fry. Besides the advantage of having your own ready supply of bait, there is the additional benefit of reducing your contribution to the waste stream. Create your own E-business, take a look at this video. To get started vermicomposting, your compost pile will need something to keep it in place, a wire fence corral, concrete blocks, or even a plastic kiddy swimming pool are just a few examples. Choose a spot that will remain shaded and can be kept moist then every time you have worms leftover from a fishing trip dump them into the emerging compost pile. In a few months you’ll be surprised at the results. 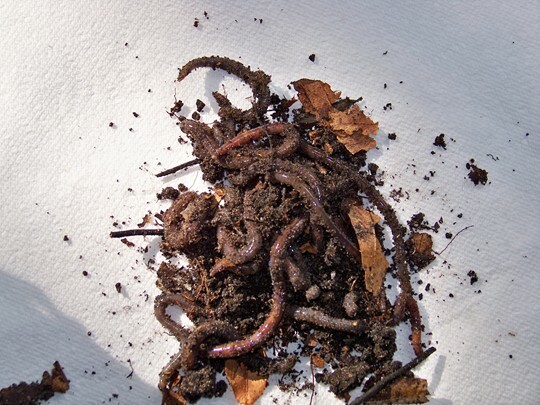 Seasoned compost piles product good fishing worms. Another option for producing your own worms would be to purchase an earthworm farm kit, complete with bins, compost, and worms or you may wish to purchase only the worms and add them to your own compost. Who knows this might even become a backyard business for you. Here is another fishing tip. 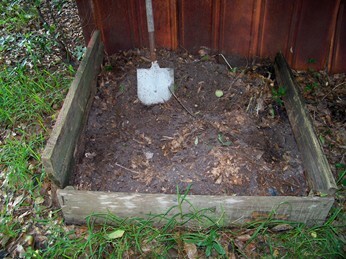 When digging for earthworms be sure and include any white grubs you may find. White grubs are great bait too. See more on Earthworm Fishing Bait.